“Seek and ye shall” find takes on a whole new meaning within the context of this story. Yet isn’t it true that which we look for we find? I am always amazed at how I create and fulfill my own story. My perception decides what moves to the foreground, and what fades to the background as in the picture below. 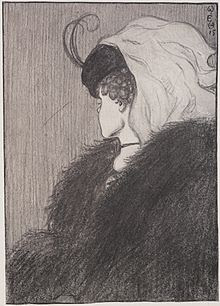 Which do you see the old woman or the young woman? Do you see a chin or a nose? The chin of the young woman is the old woman’s nose. Can you shift your perception? Once you can shift between the two you can in fact find both of the woman at will. So as in the story if I am looking for “wonderful people” I will in fact encounter “wonderful people” because I will be looking for them and they will become a figure in the foreground for me, while the rude clerk, or overworked waitress that forgets my side salad with lunch fades into the far distant background of my mind and day. Consider that what you attend to grows in significance, impacts your day, your mood, and your quality of life. What will you choose to focus on today?